The sound-based password alternative SlickLogin has been acquired by Google. It's an Israeli start-up, that allows websites to verify a user's identity by using sound waves. SlickLogin, a sound based password alternative has been acquired by Google. The deal was officially confirmed by the company on its website, where the homepage reads "SlickLogin joins Google". Their primary reason for merging with Google is to “make the Internet safer for everyone." The exact details of the deal are not out yet, though we'll keep you updated as soon as we hear something. 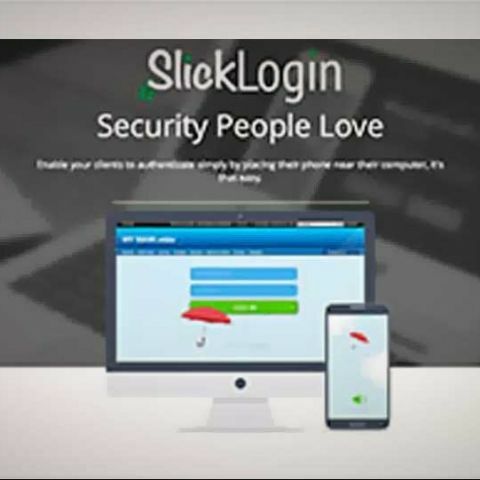 SlickLogin was launched to be used as a password replacement alternative. It acts as a secondary layer atop a traditional password. In order to verify a user's identity, a website would play a nearly silent sound through user's computer's speakers, while an app running on your phone would pick up and analyze it, and send back the sound signal data collected to the site's server in order to confirm your identity. Over the years, we have witnessed a rise in the number user id's being compromised, and that's what SlickLogin is aiming at. It basically allows you to log in to a website on your PC while holding your phone within a few inches away from it. It uses a number of protocols to verify your phone's exact position: Wi-Fi, Bluetooth, NFC and GPS. The startup rolled their service in small closed Beta after making its debut at TechCrunch Disrupt. The service is yet to be made available for public.